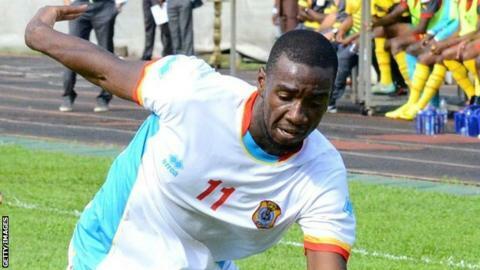 Yannick Bolasie is one of three England-based players in Democratic Republic of Congo's final squad for the 2015 Africa Cup of Nations. The Crystal Palace forward joins West Brom midfielder Youssuf Mulumbu and Peterborough defender Gabriel Zakuani in the final 23-man selection. The trio could be unavailable for their clubs for up to five weeks. Coach Florent Ibenge has dropped six players from his provisional list including Chateauroux's Distel Zola. The other five players to miss out all play their football in DR Congo. AS Vita Club trio of goalkeeper Herve Lomboto, defender Lomanisa Mutambala and striker Luvumbu Nzinga Siram also failed to convince Ibenge during the recent training camps. The other two players to miss out from the original list are Bangala Litombo and Dark Osaretin. Newly crowned Africa-based player of the Year Firmin Mubele Ndombe of Champions League finalists AS Vita Club is included in the squad for the finals. The tournament, which is being played in Equatorial Guinea, kicks off on 17 January, with the final held on 8 February. Ibenge's side have been drawn in Group B alongside Cape Verde, Tunisia and 2012 winners Zambia.